Joint pain is the discomfort caused by inflammation of the cartilage, ligaments, tendons or muscles. Most often it is associated with some form of arthritis (arthralgia) and is in the joint itself. Joint pain can vary in severity to a mild discomfort to pain so excruciating that it is debilitating. 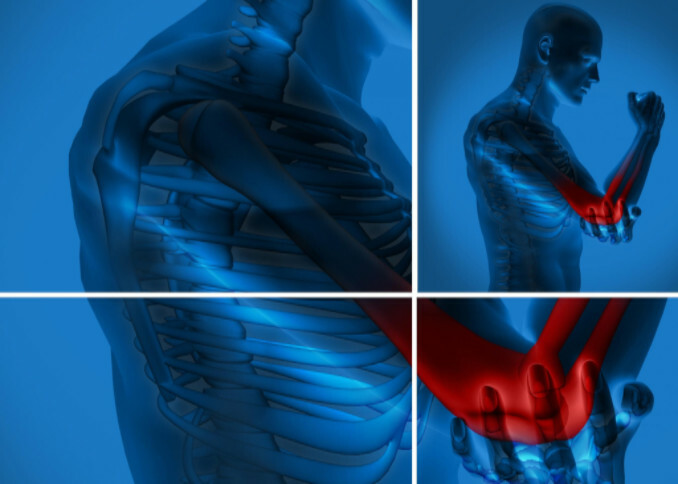 The primary focus for relieving joint pain is to reduce inflammation. Acute inflammation is the body’s normal response to injury or infection. It is part of the healing process and can be recognized by the redness, swelling, pain, and loss of mobility. It can be a response to a stubbed toe, an insect bite or surgery recovery. Typically acute inflammation requires only temporary pain relief. Chronic inflammation, however, stems from an inflammatory disorder and is present in more severe conditions such as arthritis, autoimmune disorders, and cancer. Relieving joint pain from an inflammatory disorder often requires ongoing treatment and lifestyle changes. NSAIDs – Non-steroidal anti-inflammatory drugs such as Ibuprofen and acetaminophen are routinely taken for minor and more severe joint pain. Though these medications provide significant relief, prolonged use or high doses can wreak havoc on the liver and kidneys. Prescriptions – Medications often prescribed for joint pain include opioids, muscle relaxants, and anti-depressants. These medications have a lengthy list of adverse side-effects with addiction being the most serious, especially in opioids. Topicals – Creams such as Ben-Gay and those containing capsaicin can provide some relief for joint pain. Cortisone injections – Cortisone shots are given, especially in the case in which limited mobility is a factor. o Diet. The focus of the diet should be to reduce inflammation.Included in the diet should be a wide array of fruits and vegetables, whole and cracked grains, fish, beans, healthy proteins, herbs and spices, and even a limited amount of red wine and dark chocolate for their high antioxidant content. o Exercise. It is important to keep the joints moving with exercise that is easy on the joints such as swimming and walking. Pilates and yoga can also be helpful. In some instances, physical therapy may also be required. o Herbs and supplements. Numerous culinary herbs are useful in reducing inflammation, including cloves, turmeric, rosemary and ginger. The hemp plant also has many substances that work against pain and inflammation, including beta-caryophyllene which is found in culinary herbs. Studies have shown promising results regarding cannabis and the management/prevention of joint and arthritic pain. • Prevention.Hemp has been demonstrated to inhibit the breakdown of arthritic cartilage. • Pain relief. Whether ingested or applied topically, cannabinoids naturally found in the cannabis plant reduce pain and inflammation by signaling the brain to reduce the pain causing acid. • Repair. Cannabis has been shown to attach to nerve receptors thereby reducing pain signals. It is not proven whether it is repairing the damage, but arthritis patients who routinely ingest or use hemp topically have reported extended periods of remission. • Ingested – Hemp can be ingested in oils, tinctures, seeds, or the root. The entire plant can also be made into tea as well as added to smoothies and other foods. • Topicals – Topical hemp is derived from the seed, root, or whole plant. It can be found in creams, massage oils, and serums. It works by penetrating the skin at the cellular level. The C2 receptors send a signal to produce a protein that will, in turn, reduce the inflammation causing acid. Massage therapists are starting to use products infused with CBDs or THCs with impressive results. When using hemp or any cannabis products, a healthcare professional should be consulted it there are concerns regarding side-effects or contraindications with other medications.